After a five year wait, 2015 sees the arrival of the world’s most keenly anticipated hot hatch, the Honda Civic Type R. Billed as a ‘race car for the road’, the all-new Honda Civic Type R is powered by the most extreme and high-performing Type R engine ever built. Available only as a five-door, with two trim grades, it is set to catapult Honda back to the top of the two-wheel drive performance hatchback league when it goes on sale across Europe from July 2015. 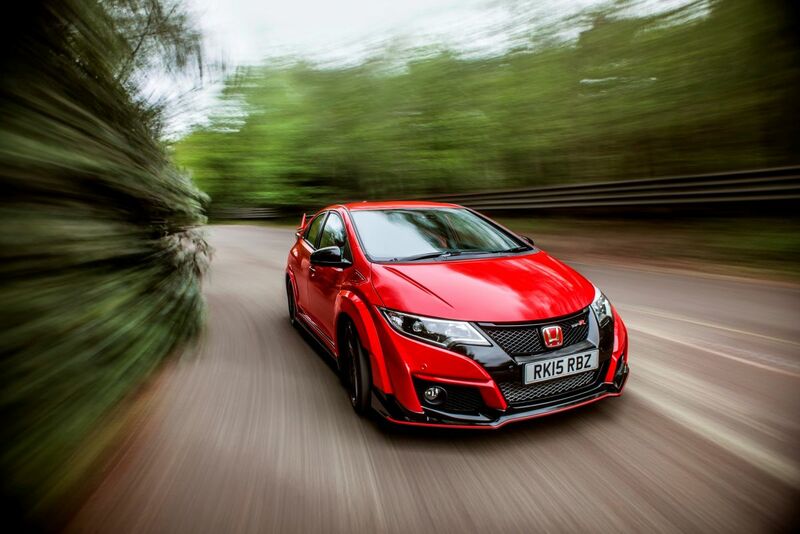 At the heart is an all-new, direct-injected turbocharged 2.0 litre VTEC TURBO petrol engine, which delivers power, torque and performance figures unmatched in the front-wheel drive hot hatch segment. Peak power output is 310 PS* at 6,500 rpm, and peak torque is 400 Nm* at 2,500 rpm – both higher than for any previous Honda Type R model. Combining a turbocharger with Honda’s VTEC and VTC provides benefits in output, efficiency and packaging. VTC allows a degree of valve timing overlap which is finely controlled across a broad rev range to improve responsiveness and efficiency. VTEC varies the degree of exhaust valve lift to reduce turbo lag through increased exhaust pressure at lower rpm while delivering a high output at higher rpm. As a result of the benefits these technologies bring, a mono scroll turbocharger can be used to produce a class-leading peak output, while maintaining response at lower engine speeds and a high-revving power delivery. To further improve responsiveness, the turbo-charging system has an electronic wastegate offering a higher degree of freedom in induction pressure control. The new Civic Type R’s performance is unmatched in the front-wheel drive hot hatch segment: the 0-to-62 mph sprint takes just 5.7 seconds and top speed is a class-leading 167 mph. 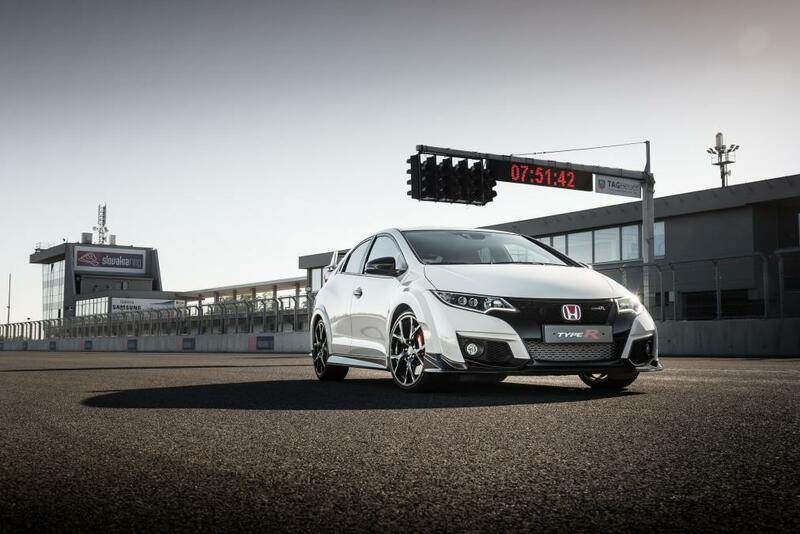 The Civic Type R is available in two specifications – standard and GT. The base price starts at £29,995, while GT adds £2300 to the cost and adds auto lights and wipers, dual zone climate control, driver assist safety systems and a more powerful stereo.